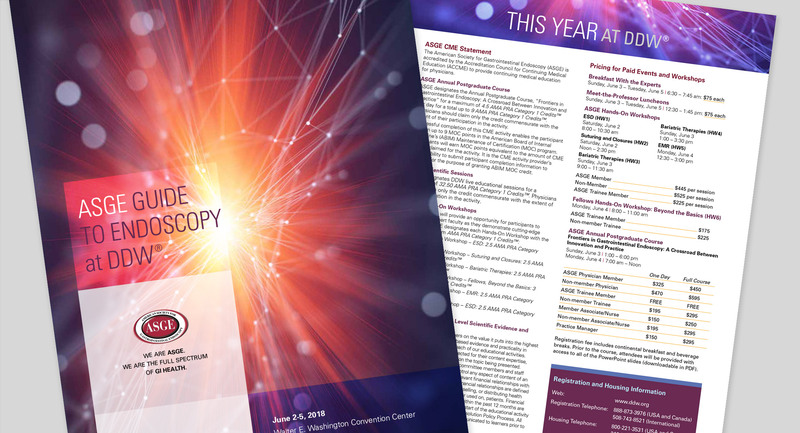 Digestive Disease Week® (DDW®) is the world’s leading educational forum on GI Endoscopy. 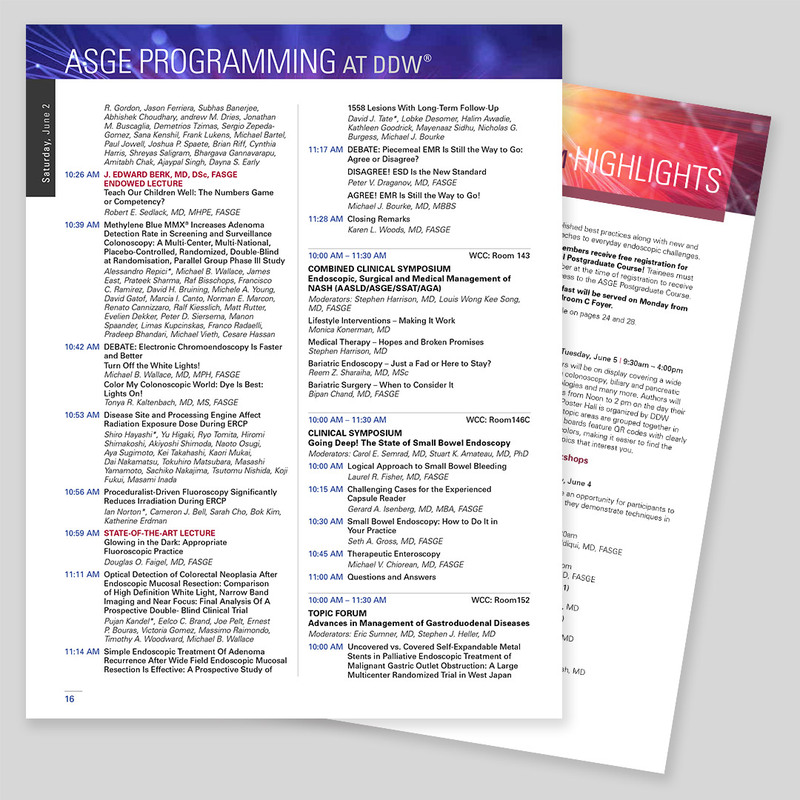 ASGE has comprehensive programming, including sessions and activities that are designed to advance knowledge and skills in endoscopy, under the direction of renowned faculty. 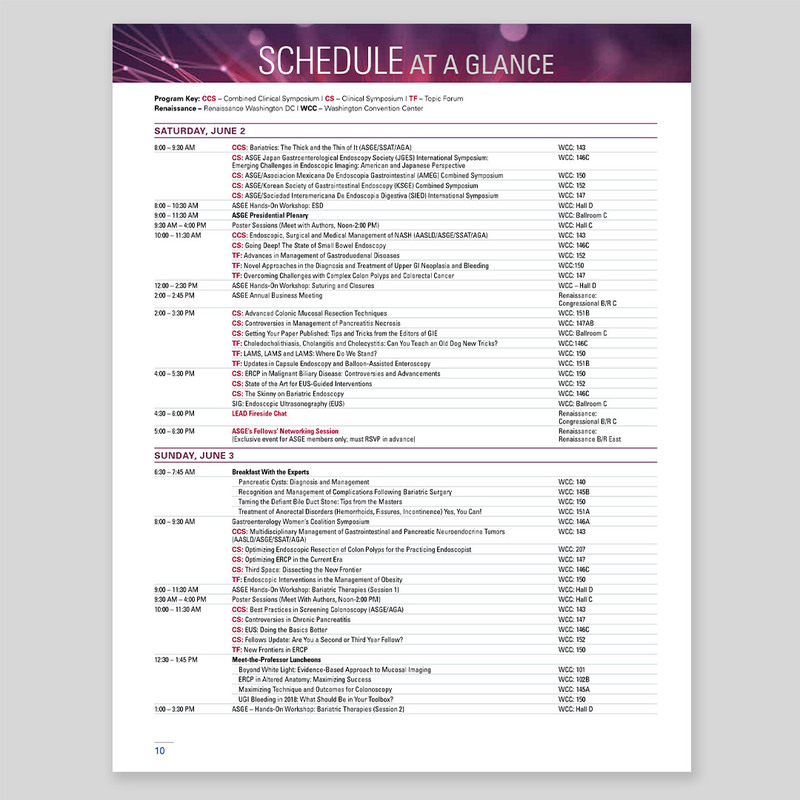 This year we created their meeting book with an aim to present the conference schedule and information in a comprehensive, organized format, while visually touching upon the sense of discovery and technological innovation inherent in the field of endoscopy.